With vastly increased complexity and functionality in the "nanometer era" (i.e. hundreds of millions of transistors on one chip), increasing the performance of integrated circuits has become a challenging task. Connecting effectively (interconnect design) all of these chip elements has become the greatest determining factor in overall performance. 3-D integrated circuit design may offer the best solutions in the near future. 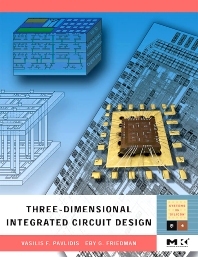 This is the first book on 3-D integrated circuit design, covering all of the technological and design aspects of this emerging design paradigm, while proposing effective solutions to specific challenging problems concerning the design of 3-D integrated circuits. A handy, comprehensive reference or a practical design guide, this book provides a sound foundation for the design of 3-D integrated circuits. VLSI design engineers, CAD Designers of Microprocessors and Systems-on-Chip (SOC), concerned with 3-D integration in chip design...INTERCONNECT, at companies globally such as Microsoft, Honeywell, Intel, AMD, IBM, HP, NVIDIA, Marvell, Texas Instruments, Samsung, Hitachi, Sony, Fujitsu, Toshiba, ST Microelectronics, NXP, Freescale, Infineon, NOKIA, Qualcom, Cadence, Synopsys, Magma, Mentor Graphics, Tezzaron Inc, Ziptronix, Tru-Si, IMEC Belgium, etc. Vasilis F. Pavlidis received the B.Sc. and M.Eng. degrees in Electrical and Computer Engineering from the Democritus University of Thrace, Greece, in 2000 and 2002, respectively. He received the M.Sc. and Ph.D. degrees in Electrical and Computer Engineering from the University of Rochester, Rochester, NY, in 2003 and 2008, respectively. He is currently an Assistant Professor in the School of Computer Science at the University of Manchester, Manchester, UK. From 2008 to 2012, he was a post-doctoral fellow with the Integrated Systems Laboratory at the Ecole Polytechnique Fédérale de Lausanne, Lausanne, Switzerland. He was with INTRACOM S.A., Athens, Greece, from 2000 to 2002. He has also been a visiting researcher at Synopsys Inc., Mountain View, CA, with the Primetime group in 2007. His current research interests include interconnect modeling and analysis, 3-D and 2.5-D integration, and other issues related to VLSI design. He has published several conference and journal papers in these areas. He was the leading designer of the Rochester cube and co-creator of the Manchester Thermal Analyzer. 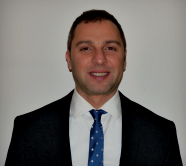 Dr. Pavlidis is on the editorial board of the Microelectronics Journal and Integration, the VLSI Journal. He also serves on the Technical Program Committees of several IEEE conferences. He is a member of the VLSI Systems & Applications Technical Committee of the Circuits and Systems Society and a member of the IEEE. He is also involved in public policy issues as a member of the ICT working group of the IEEE European Public Policy Initiative. Eby G. Friedman received the B.S. degree from Lafayette College in 1979, and the M.S. and Ph.D. degrees from the University of California, Irvine, in 1981 and 1989, respectively, all in electrical engineering. From 1979 to 1991, he was with Hughes Aircraft Company, rising to the position of manager of the Signal Processing Design and Test Department, responsible for the design and test of high performance digital and analog integrated circuits. He has been with the Department of Electrical and Computer Engineering at the University of Rochester since 1991, where he is a Distinguished Professor, and the Director of the High Performance VLSI/IC Design and Analysis Laboratory. He is also a Visiting Professor at the Technion - Israel Institute of Technology. His current research and teaching interests are in high performance synchronous digital and mixed-signal microelectronic design and analysis with application to high speed portable processors, low power wireless communications, and power efficient server farms. He is the author of more than 500 papers and book chapters, 13 patents, and the author or editor of 18 books in the fields of high speed and low power CMOS design techniques, 3-D integration, high speed interconnect, and the theory and application of synchronous clock and power delivery and management. 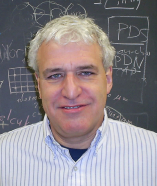 Dr. Friedman is the Editor-in-Chief of the Microelectronics Journal, a Member of the editorial board of the Journal of Low Power Electronics and Journal of Low Power Electronics and Applications, and a Member of the technical program committee of numerous conferences. He previously was the Editor-in-Chief and Chair of the Steering Committee of the IEEE Transactions on Very Large Scale Integration (VLSI) Systems, the Regional Editor of the Journal of Circuits, Systems and Computers, a Member of the editorial board of the Proceedings of the IEEE, IEEE Transactions on Circuits and Systems II: Analog and Digital Signal Processing, IEEE Journal on Emerging and Selected Topics in Circuits and Systems, Analog Integrated Circuits and Signal Processing, and Journal of Signal Processing Systems, a Member of the Circuits and Systems (CAS) Society Board of Governors, Program and Technical chair of several IEEE conferences, and a recipient of the IEEE Circuits and Systems 2013 Charles A. Desoer Technical Achievement Award, a University of Rochester Graduate Teaching Award, and a College of Engineering Teaching Excellence Award. Dr. Friedman is an inaugural member of the University of California, Irvine Engineering Hall of Fame, a Senior Fulbright Fellow, and an IEEE Fellow.